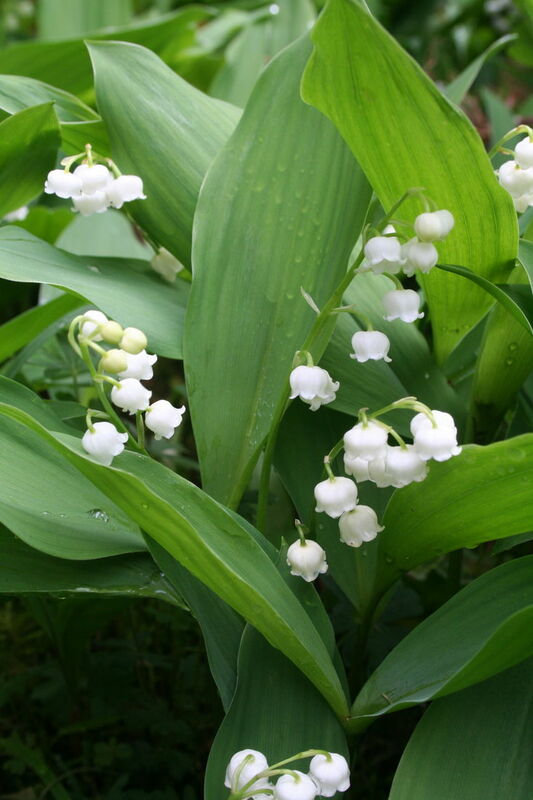 Convallaria, (commonly known as Lily of the Valley) is from the Latin name convallis meaning valley. It can be found in semi-shades forested areas from France to Siberia and in the cooler parts of North America. Interestingly legend has it that Lily of Valley came about from Eve’s tears shed when she and Adam were banished from Eden. It blooms from a set of elliptical shaped bright green leaves on stems to 15cm. These stems hold a raceme of pure white nodding bells, with a well renowned fragrance. These delightful flowers are much sort-after by brides worldwide, most recently the Duchess of Cambridge carried them among others in her bouquet. They prefer a situation that is not too dry which is enriched with blood and bone, old cow manure or a good compost. If your soil is acidic they also benefit from the addition of some lime. They flourish in cooler climate needing a frosty winter to bloom freely. Plant root stock by laying them flat on prepared ground and cover with only 2cm of soil and 7cm apart to naturalize. They benefit from water once a week during active growth and prefer not to be completely dried out in summer. Remove all old foliage and winter mulch with old cow manure or Dynamic Lifter, Lime and a good compost. Lily of the Valley is a wonderful addition to a cool climate garden and once naturalized can make a fantastic ground cover. Blooms picked when the first two bells are open will last up to a week in a vase all the while providing a ‘natural air-freshener’!